Dell 2407wfp flatscreen monitors, with default settings, appear to have very nasty ghosting issues when you scroll dark items on light backgrounds. This has been reported by many people in many places, and there is a very simple way to fix it. The ghosting effect may vary between displays. On my 2407 with A03 firmware the ghosting was very visible and black. On another 2407 with A04 firmware the ghosting was much less apparent and left a slight green trail. The fix below seemed to solve/hide the problem in both cases but before you dial in the settings it's worth seeing if the problem affects you at all. Using my settings will make the screen sligthly less vibrant so there's a trade-off between vibrance and ghosting. I've been using these settings for over a year and I'm very happy with the screen but if you don't see the problem then there's no point messing with things. As far as I can tell this seems to be a bug in the display's firmware where changes between certain colors result in too strong a signal being sent to the pixels. (Or something like that. I am no expert in how monitors work!) I found that if the monitor's red, green or blue values are set too high (which they are with all of the presets) then the problem occurs. Reducing the colors a little makes the issue goes away. I was ready to return my monitor but now I'm perfectly happy and it works brilliantly. 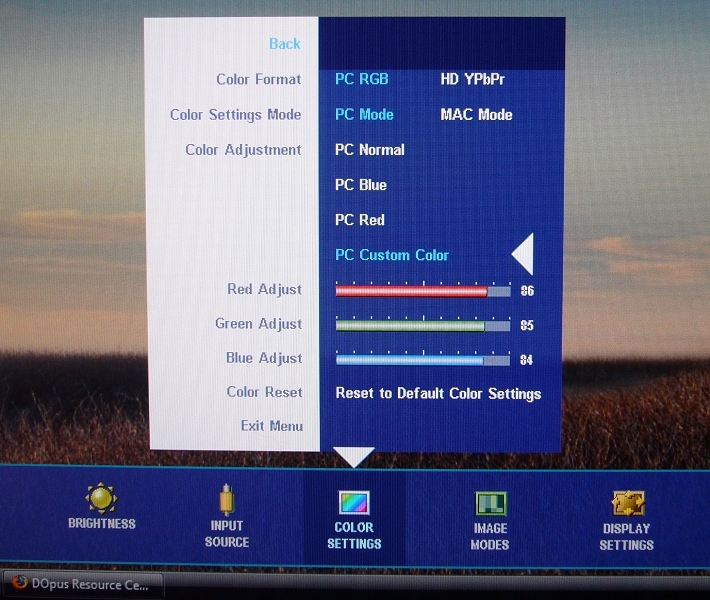 Below you will find the color settings that I use. Feel free to experiment to find settings which both look good to you and don't cause the problem. Don't forget that you can tweak the brightness elsewhere in the menu if adjusting the colors makes the screen darker than you want it to be. The brightness setting does not seem to trigger the issue; it's to do with the color settings. I've tried this on both A03 and A04 revision 2407wfp displays and it worked on both. (The A04 was much better to begin with, though.) 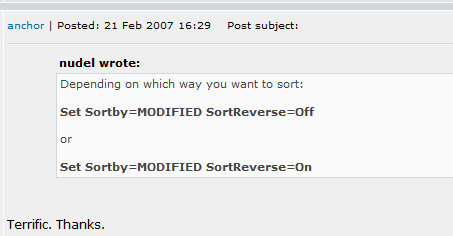 Other people have also confirmed that these settings solved the problem for them. I hope they help you, too. Tell your 2407-owning friends! I have not had any experience with the 2407wfp-hc model. I believe that uses a different panel so this page is probably not relevant to that model. I had a dual-monitor Dell 2405wfp and 2407wfp set-up until December 2008 when the 2405 blew, two months after the end of its three-year warranty. I called Dell to ask how much a repair would cost and they said they'd have to get back to me since they normally only arrange replacements and not repairs. I didn't expect much and figured that even if a repair could be arranged it would take a long time and might be too expensive to bother with. I was so dependent on having two monitors that I had already ordered a brand new monitor before calling Dell, unknown to them. (As it happens I had ordered another Dell monitor, but not through Dell directly so they wouldn't have known about it.) I no longer needed the broken 2405 but I thought I'd see how much a repair would cost so that I could have it as a spare or give it to a friend. Dell called me back later that day to say they would replace the 2405 for free. I was impressed. I was even more impressed when a parcel arrived early the next day with a 2407wfp in perfect condition. Not only had Dell replaced my monitor but they'd given me an upgrade to a newer, better model. I was overjoyed at how helpful Dell were of their own volition, especially after the utterly appalling customer service I had suffered from other hardware companies. In particular, I spent months arguing with Sony about their repeatedly botched and delayed repairs -- plus promised deliveries which never turned up -- of a very expensive monitor which failed half-way through its warranty period. I got so fed up with Sony that I couldn't deal with them anymore and just bought another monitor. Sony still have my monitor somewhere, probably still broken, and have not refunded me or anything. I hate them. On the other hand, Dell had no obligation to do anything for me and I didn't ask or expect anything of them, except to see if a repair was possible at all, yet they sent me a better replacement monitor, for free, the next day. Awesome!